Background/Info: Thorsten Krüger and Matthias Grod took the electro-pop community by surprise in 2015 unleashing their successful debut album “Now”. The work revealed a classical, but well-crafted synth-pop format featuring several great songs and especially the hit “Only Electropop”. Pos. 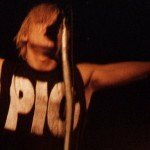 :2 are back on track unleashing a new opus with 13 songs. Content: Pos. :2 compose stereotypical electro-pop music. There’s no real innovation in the format, but the production is accomplished with danceable kicks, catchy sequences, melodic and carrying choruses and Thorsten Krüger as the talented vocalist. “Circuits” has a retro-like feeling, which reminds me of Syntec. The songs are well-crafted and always accomplished with the right melody line. Most of the lyrics have been sung in English, but there are also a few tracks sung in German. 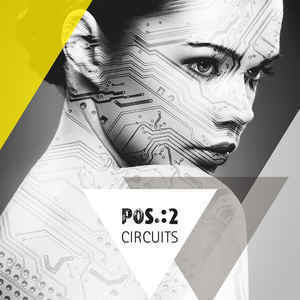 + + + : “Circuits” is a kind of reference when you think about electro-pop music. The sound formula sounds easy, but it’s not that simple to compose a majority of synth-pop songs driven by danceable vibes, featuring melody lines that you’ll keep in mind and lyrics you spontaneously start to sing together with the singer. “Circuits” is maybe missing a new “Only Electropop” although songs like “So Lonely” (previously released as EP-title song) and “Tonight” are both new potential hits. There are also a few softer cuts like the beautiful “I Wanna Be Free” featuring Jeannette. 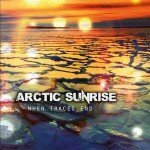 This is a beautiful song with male- and female vocals. – – – : I already mentioned my only little ‘frustration’ about missing an absolute hit like there was one on “Now”. The slower songs aren’t my favorites (except “I Wanna Be Free”), but that’s just a question of taste. Conclusion: After a successful debut work it’s not easy to confirm on the second album, but “Circuits” reveals an increased maturity in the global production. Pos. :2 definitely is a new rising talent in the electro-pop universe. Best songs: “So Lonely”, “Tonight”, “I Wanna Be Free”, “I’m Waiting”, “Wie Im Traum”.